Join our business directory. Why should your business advertise with us? 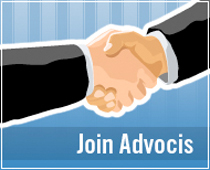 With more than 1,000 members, Advocis Greater Vancouver provides your firm with a unique opportunity to present your products and services – not only to the members themselves but also to the multitude of clients serviced by the professional advisors. Advertise with us or become a sponsor and join our business directory. Expand your business horizon. Provides websites and website solutions for professionals in the financial service industry. Visit us online at www.advisorwebsites.com. If you're a member of Advocis Greater Vancouver, there are several areas where you and your company can advertise on the Advocis Greater Vancouver website at preferred rates. Banner advertisements - please contact us for details. For a complete listing of our current website advertising services, rates, terms and booking details, please download the following agreement form and fax it to 604-681-4545, attn: Web Advertising, or e-mail info@advocisvancouver.ca.